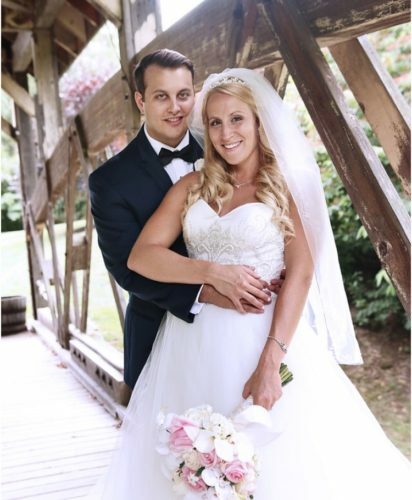 WINTERSVILLE — Amanda Marie Almonte and Bryant Tyler Cappelletti were united in marriage July 9, 2016, at Blessed Sacrament Catholic Church in Wintersville. Monsignor Kurt Kemo officiated over the ceremony. The bride is the daughter of Louis and Carol Almonte of Wintersville. 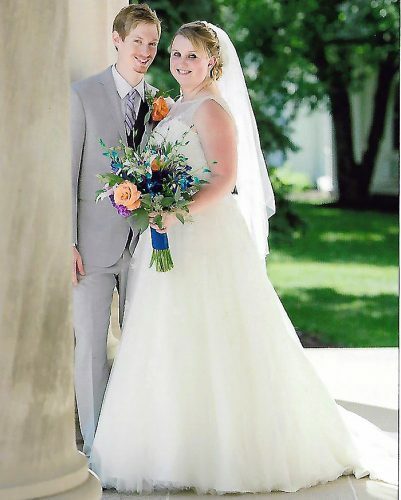 The groom is the son of William and Kelly Cappelletti of St. Clairsville. The bride was escorted down the aisle by her father. She wore a strapless ivory ball gown with a multi-layered tulle skirt and a bodice embellished with crystal beading, seed pearls, iridescent sequins and silver embroidery. She carried a bouquet of orchids, stephanotis, hydrangea and pink roses. 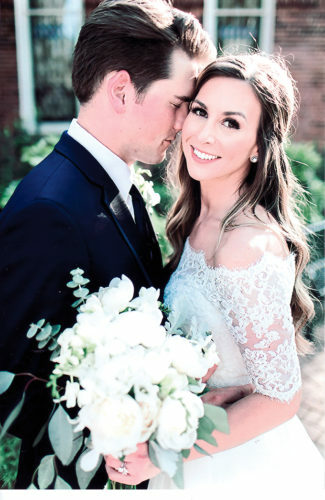 Christina Cunningham, cousin of the bride, served as maid of honor. Bridesmaids were Ashley Rice, cousin of the bride; Pam Cunningham, cousin of the bride; Amy Crowe; Allie Dellatorre; and Danielle Pizzoferrato. 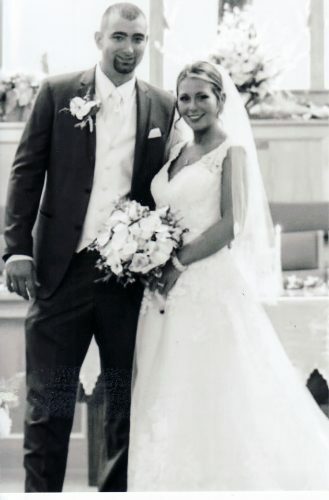 Will Cappelletti served as his brother’s best man. Groomsmen were Lou Almonte, brother of the bride; Adam Gay; Jonathan Bosold; Nick Puckett; and Stefan Green. Cooper Cunningham was the ring bearer, and Reese Cappelletti was the flower girl. 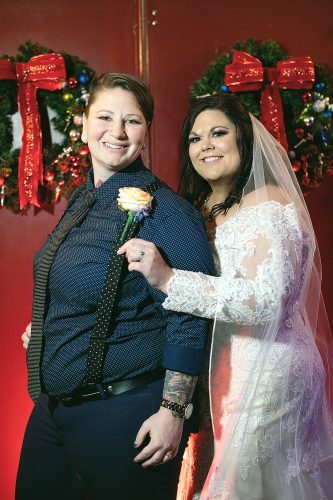 The bride is a 2007 graduate of Catholic Central High School, a 2011 graduate of Walsh University with a bachelor’s degree in biology and a 2014 graduate of Wheeling Jesuit University where she obtained her doctorate degree in physical therapy. She is a physical therapist at Parkland Memorial Hospital in Dallas. 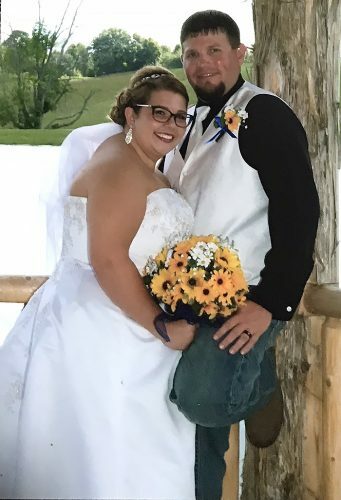 The groom is a 2007 graduate of St. Clairsville High School and a 2011 graduate of Washington and Jefferson University with a bachelor’s degree in business management. He is employed as a senior accounts executive with the Dallas Cowboys organization in Arlington, Texas. After a honeymoon at the Mayakabo Resort in Playa del Carmen, Mexico, they reside in Dallas.